The star of your summer garden has arrived. 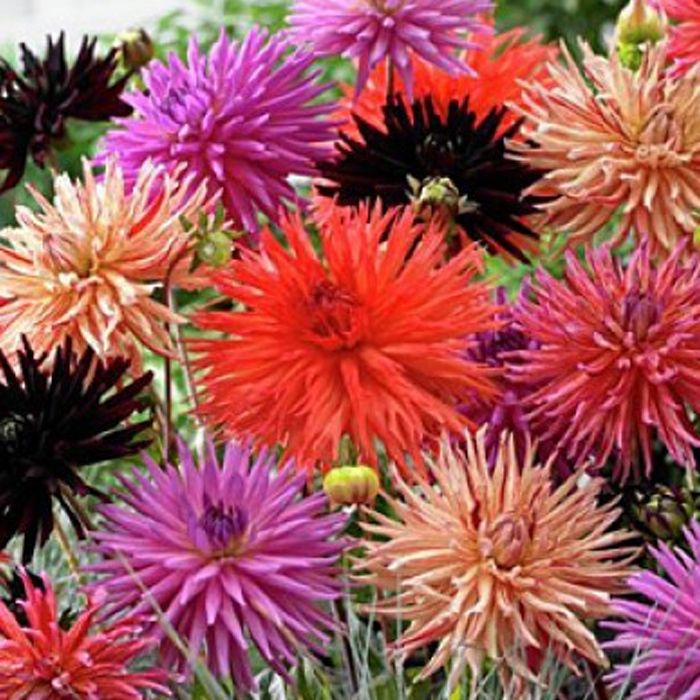 Star Mix Cactus Dahlias are a bright and sunny mix of yellow, orange, white and peach dahlias. Cactus dahlias are some of our favorite cut flowers. Plant this bright mix in your border or large containers. Pointed blooms up to 7" across when planted in full sun, with adequate water and fertilizer. Growing very nice and bulbs were in good condition.